This is probably the last of my lifelong favourite fragrances along with A*Men, Le Male and DKNY Be Delicious, starting back in my teenage years. I think turning 25 last month has made me a touch reminiscent and fragrance is always the strongest thing to evoke of memories! It was actually my mum that bought it for me, along with all the others except DKNY Be Delicious (one of my first ever Duty Free buys). You’ll always find plenty variations of Luna Rossa (which I also love) but PRADA Amber is just another one of those ‘hidden on the bottom shelf’ fragrances. The one that you have to convince the shop assistant exists and point to it down on the bottom row – “that one!”. Boots have stopped stocking it altogether. Amber was launched in 2006 and co-created by Miuccia Prada, the Granddaughter of the brand’s founder, Mario Prada. It has saffron, myrrh, vanilla, musk, leather, labdanum, geranium, neroli and orange blossom – these being the most prominent notes. It lasts all day, and then some. It has gorgeous complexity, depth and real character; it’s comforting and far beyond the likes of today’s 2D, sometimes bland, men’s fragrances. I remember wearing Amber during, and I’ll explain this, a school trip to Japan in 2007 when I was 15. OK, right, I went to state school not private, but we were a specialist language college and studying Japanese. But to this day, when I wear PRADA Amber, I think about that trip. 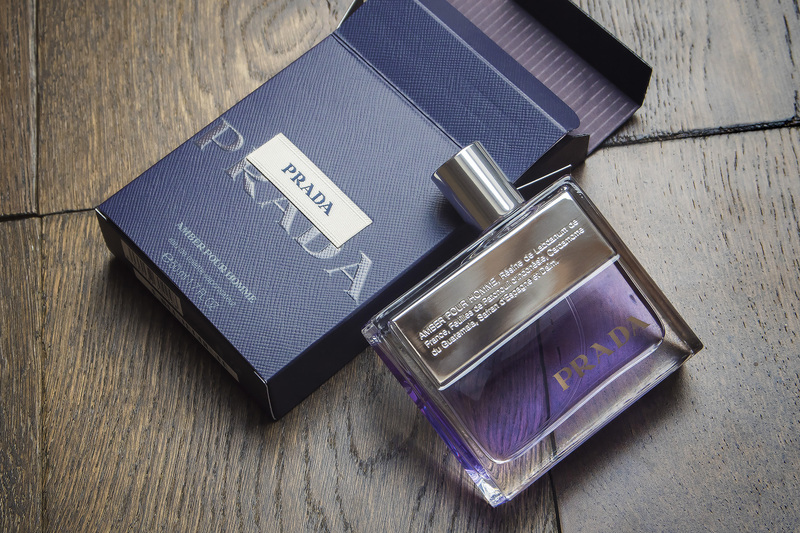 If you’ve never experienced PRADA Amber Pour Homme before, then there’s no better time to. Create your own memories with it! PRADA Amber Pour Homme is available for £42.50/50ml or £57.35/100ml here from Escentual.com with free delivery. You will find it out and about in the odd perfume shop although you’ll probably fork out a lot more than you will online as the price probably won’t have changed since 2007! This article first appeared on MANFACE written by Thom Watson. It was published on Wednesday 10th February 2016 and was last updated on Monday 3rd April 2017 at 1:10pm. It's categorised under Editorials, Oriental Fragrance, PRADA where you'll find more related content.